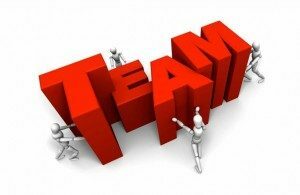 Team development success is essential for a company to be sustainable. But when the wrong leaders are in charge, the effects can impact your bottom line. In 2017, A research team from the University of Manchester’s Business School interviewed 1,200 employees about their feelings towards their leaders. The results were staggering–employees are highly depressed when they are working for leaders who display toxic behavior. To top it off, the toxic behavior rubs off on those that are unhappy with their job. Therefore, how do you know if one of your leaders is displaying detrimental, negative behavior that’s hindering overall team development success? TIGERS® commits to leadership and team development success. In 1987, TIGERS founder, Dianne Crampton, wanted to know what is required to build a high performance team. She studied all available research in Education, Psychology and Business. Out of this research six principles emerged. The six principles are trust, interdependence, genuineness, empathy, risk resolution and success. They form the acronym TIGERS®. Then after two independent studies of organizations working to improve the six principles within their culture, she also discovered another important finding. 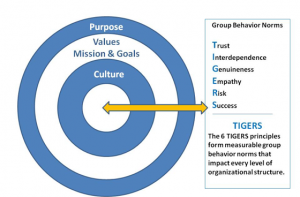 The TIGERS six principles are anchored by behavior and systems that support high levels of trust, interdependence, genuineness, empathy, risk resolution and success in the workplace. The TIGERS six principles also support an organization’s existing mission, vision, and values by improving workforce behavior. This is common sense behavior that is readily seen and experienced daily in how employees treat one another, the company and customers. When codified into an organization’s behavior norms, the six principles clearly differentiate a high performance organization with one that is not. In high performance organizations employees are engaged, committed to outcomes and accountable for success. This is because constructive behavior is required from everyone. These behaviors are also skill related so they can be trained to. They can also be independently measured within work culture and department behavior. This is important for corporate board members and executives to identify which managers to support with coaching to improve both behavior and skills. The success of both coaching and training, however, is dependent on the participant’s desire to become more skilled. Fortunately the results of that desire can be tracked through department cost savings or productivity improvements using TIGERS assessments. This takes the guess work out of team development success. Toxic behavior is hazardous because it hinders vital productivity. Spotting bad behavior and fixing it is essential for all businesses. Once poor behavior is recognized, good behavior can take its place. Supporting trust, interdependence, genuineness, empathy, risk and success across all departments is how to properly build high performance teams and work groups that stay productive. 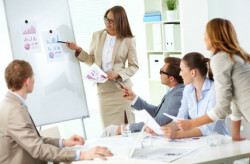 Team development success and a positive work culture depend on monitoring workplace behavior. In most organizations, improvement starts at the top. Therefore, addressing problematic leaders who are willing to change and become more skilled is the first step. Their improvement can be tracked financially in your bottom line. Team development success relies on avoiding these negative behaviors. Toxic leaders can hinder workplace development, stifle work culture and bring a halt to all productivity in the office. They also spread their poor behavior to other employees. For example, a vender in the bottling industry fired a CEO for poor team development success performance. Yet not much changed between the company’s first and second assessment. After each department was also assessed, a vice president who was elevated to that position by the fired CEO surfaced with the same general toxic behavior qualities as his former boss. The VP was coached but refused to change. He was let go. Using key behavior interviewing questions, a new VP was hired. Both productivity and cost savings improved within the first year with continued improvement in subsequent years. The bottom line is that the damage left by leaders who are not meant to lead hurts profitability. Keeping toxic leaders in charge can permanently reduce profits by the millions of dollars during their tenure. These are the particular behaviors that should be avoided for team development success. Empathy: Toxic leaders are not listeners, only speakers. Empathetic listening is a skill that can be taught to people willing to improve and grow. Frequently when a leader relies on talking, it’s because they are covering up for what they don’t know. Perhaps they have no desire to hear the employee perspective. An empathetic leader is curious about others and listens to fully understand. This leader understands that no one can know everything. Listening is the skill that proves to be one of the best way to learn. Empathy: Toxic leaders berate employees who are insubordinate to them. Berating employees is bullying behavior. When leaders are mean to their employees, they set the company up for hostile work environment lawsuits, high turnover and high disengagement that hurts stock prices, profits and the bottom line. New skills can be learned if the leader is willing. If not, you have a choice. Trust: Toxic leaders actually don’t want to lead. When it comes down to teaching, mentoring and coaching employees, a poor leader lacks the patience required to be successful. Developing employees and teams is crucial. A toxic leader will get frustrated with this and attempt to hide their performance..
Interdependence: Toxic leaders are micromanagers. When a leader feels that they are completely right, they aren’t going to budge on their methods. This impacts the synergy that is possible when skilled people with different skills come to the table to achieve results. As a result, the company will only grow to the level that a toxic leader is capable. Empathy: Toxic leaders lack the social skills and emotional intelligence needed to produce team development success. Discovering what is important to employees and making a connection to the people you lead is part of leadership success. Trust: Toxic leaders lack creativity, taking credit for other people’s work. When a leader takes credit for work that is not theirs, it is untrustworthy. Not giving credit to those that earned it is a sign of insecurity or a con job (dishonesty). Insecurity comes from untrained or non mentored leaders. Dishonesty is unethical and immorally significant. Trust: Toxic leaders can never be at fault. This kind of problematic behavior means that blame often gets placed on others who are not at fault. Frequently, the wrong people are punished or thrown under the bus. Being accountable and responsible are hallmarks of trust. Without trust, there can be no team development success. Trust: Toxic leaders can never be wrong. Similar with never being at fault, untrustworthy leaders shut your trustworthy and talented employees down. Or, these employees leave. Employees notice when someone is really listening to them. An untrustworthy leader searches for ways to validate their behavior instead of finding wholesome solutions to workplace issues. Once you identify leaders who need coaching and skill development, it’s time to effectively deal with them. If the leader is willing to learn and change, begin right away. Improvement can strengthen your bottom line. How to dismiss toxic leadership behavior and improve team development success. Trust: Trust is having confidence in the integrity, honesty, reliability and fairness of a leader, team or system. Psychologists say trust in one’s self, other people and one’s surroundings is so important that the absence of it can adversely impact human performance. Therefore, create group behavior norms that support trustworthy behavior that applies to everyone in your organization. Interdependence: Interdependence produces synergy in the workplace. An interdependent leader improves team outcomes beyond the simple sum total of each employee’s individual skills. In the work culture and departments, interdependence includes high levels of information sharing and service to one another’s success. This requires self-awareness. A poor leader usually isn’t self-aware. Genuineness: Genuine leaders diminish the fear of repercussion for being sincere frank and forthright. They use systems, strategies and skills to surface the most clear truth available at the time from all the employees they serve. This includes problem solving, planning, planning execution and decision-making goals that serve company initiatives. Empathy: Empathetic leaders promote and demonstrate desire, ability and curiosity to see circumstances and events from another person’s perspective. It is a skill that enables you to imagine what another person feels, desires or needs. Moral decisions are properly framed when the capacity to empathize is coupled with the desire to do the right thing. Empathy, in short, is the foundation for moral character and a team culture that values kindness,, generosity, compassion, helpfulness, and a relaxed and secure state of mind. Risk: Leaders who embrace risk also embrace taking a chance. When risk-taking fails, it results in a mistake. Leaders who embrace risk rely on two critical practices. The first is a system for planning. The second is a process for handling mistakes. When mistakes are viewed as learning opportunities, employees learn and grow. Leaders who embrace risk know that the planning process must take into consideration how change will impact human resources, strategies, systems and values. Leaders who plan well ensure that these four interconnected business functions are aligned properly. A change in one function frequently impacts changes in the others. Success: Leaders who embrace workgroup success understand that success is more than achieving goals and making money. It also includes the satisfaction employees share in these accomplishments. Therefore, leaders who build success understand that commitment to company goals must occur at all levels of operation. This means that employees have the support they need to achieve their goals. They also understand how the work they perform accomplishes company initiatives. Leaders who embrace success also embrace coaching and developing their employees. They connect with the people they lead and are generous with recognition when challenging goals are achieved. In order to be a great leader, it takes addressing toxic behavior within the workplace first. When toxic behavior is seen in leaders, you will also see it in other employees. When seen, it must be addressed and coached to. If anyone is unwilling to be coached or to change their behavior by improving their skills, the cost is too high for business to ignore it. To build a work culture that benefits all workers, it’s strategic to improve the behavior of poor performing leaders and change the team development success problems that toxicity has created. This is measurable. Group performance principles such as trust, interdependence, genuineness, empathy, risk and success point toward specific behavior improvement that can produce measurable cost savings or productivity results. it’s possible to improve leadership and employee behavior and team development success both in departments and throughout your work culture. Care to dig deeper into this conversation? When is it important to change how you lead? TIGERS Success Series provides executive facilitation with a tool box that engages leaders and employees to identify the group behavior norms that improve both department and company work culture performance. It helps organizations to re-engage employees, resolve conflict behavior and builds work relationships. When your trainers, coaches and managers are trained to use these same tools, the tool box can be used to onboard new employees and contractors onto existing teams so behavior is understood from the get-go. Training and Facilitation are brought to you when eight or more of your managers are enrolled.